I don't like the way game publisher drip feed character reveals with fighting games. It makes me all nervous while I wait to see if my favourite character is actually going to make the cut. 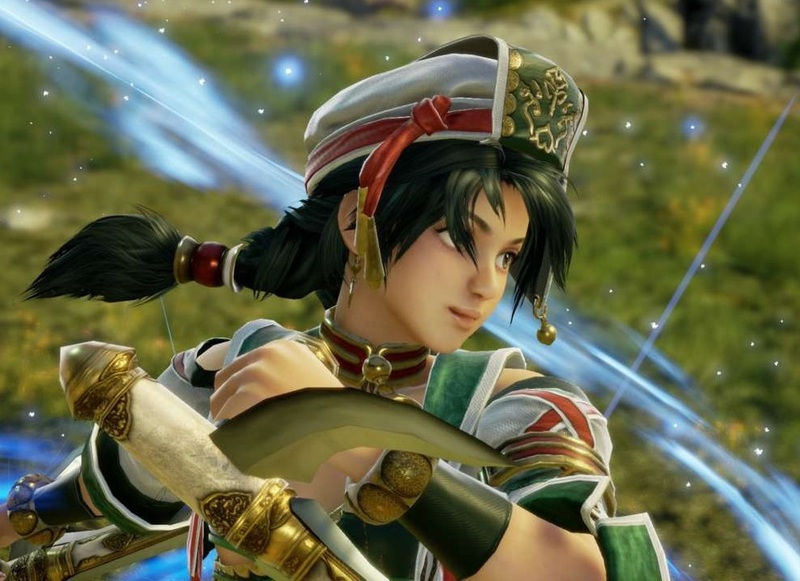 Luckily I can now look forward to Soulcalibur VI in full, because Bandai Namco has confirmed that Talim made the cut. Talim is the perfect fighting game character. She's lithe and fast, and what she lacks for in range and power she more than makes up for with the fact that other characters have no chance of actually hitting her. Talim was introduced back with in Soulcalibur 2, and - true story - while that game was heavy on the family gaming rotation back on the Gamecube, I was banned from using her by my brothers and friends because I had a win ratio of over 90 per cent with her... mostly because I spent so much time in single player mastering her. To this day she's one of the few fighting game characters I have bothered getting that good with. And of course, Talim has a harem costume as her default. Harem costumes are just the best. Bandai Namco gave us all a trailer to enjoy this latest character reveal. Now, Koei Tecmo, the ball's in your court. Time to reveal Marie Rose, yes?